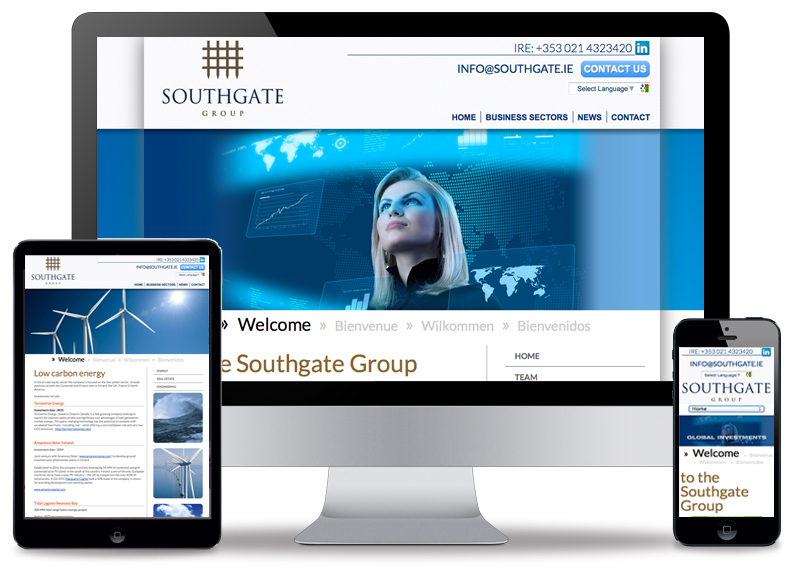 The Southgate Group, based in Cork City, is a private investment company with interests in many sectors including oil, gas, pharmaceutical and real estate. The responsive website design and development was built within ExpressionEngine. A very powerful content managed system. The menu has drop down entries so was particularily challenging to provide a good, workable, solution for the mobile platform. The website also has a language translation function utilising Google translation while the contact details are set in a prominant position on top right within the website.